Either for yourself or for a stocking stuffer, you have 6 days left to grab the Active Wrap headphones on the DL Deals store for just $24, plus free shipping. The headphones feature Bluetooth connectivity, perfect for your workouts at the gym or running on the streets. As described, the headphones are “comfortable and lightweight,” while also featuring a built-in microphone for taking calls while wearing the unit. The Active Wrap also feature noise-canceling technology, allowing those calls to sound good. Finally, battery life is listed at 10 hours of talk time and 8 hours of music playback. 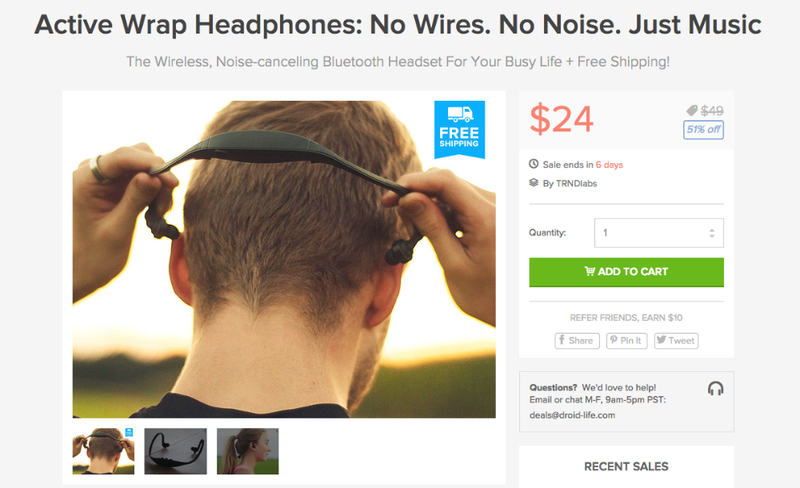 If you or someone you know needs a headset for their daily life, check the deal out.